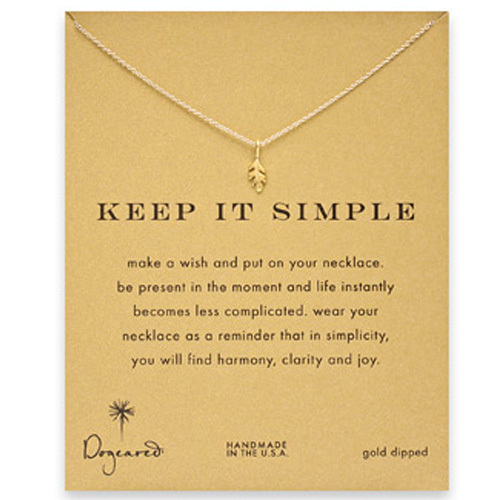 Dogeared Keep It Simple Necklace. Make a wish and put on your necklace! Card Message: Be present in the moment and life instantly becomes less complicated. Wear your necklace as a reminder that in simplicity you will find harmony, clarity & joy.